FEATURE — How many times has your cute, furry little animal jumped on your lap to lick your face, only to have the smell of their breath nearly knock you off your chair? If you have experienced this, your pet may be experiencing some sort of dental or periodontal disease. In a study in which more than 2.1 million dogs and 450,000 cats were evaluated by veterinary professionals, about 70 percent of dogs from 3 to 10 years old and 60 percent of cats from 3 to 10 years old had dental tartar or calculus. Based on these findings and other similar studies, it is evident that there are many pets with dental disease not recognized by their owners. Dental care should begin when a pet is very young so that it becomes familiar with mouth handling and plaque control. Pet owners have the important role of carrying out the day-to-day dental care, including regular brushing or wiping of the teeth and providing plaque and tartar control benefits through their choices of treats and food. A comprehensive approach to a pet’s oral health includes both professional and home care segments. The veterinarian is key to establishing an oral health program that includes professional care, such as examination and assessment of the teeth, tongue, and gingiva, dental scaling and treatment of disease. Owners need to understand that dental health is important for the pet’s whole body. Plaque initiates gingivitis and is often the initiating source of bad breath. Plaque is also the foundation for tartar formation. Tartar and plaque accumulation produce mechanical irritation, increased colonization of bacteria, and progression of gingivitis, eventually leading to periodontitis. Advancing disease leads to gum regression, root exposure, and destruction of supportive connective tissue, causing mobile teeth and tooth loss. In some instances, severe disease may even lead to health conditions in other parts of the body, including the heart and kidneys. Tartar will need to be removed though a professional dental cleaning with the patient under anesthesia. However, the rate of tartar and plaque formation can be reduced through home care that includes regular brushing and the feeding of a food that provides mechanical reduction of tartar. So take a moment and examine your little friend’s mouth for foreign smells – if it makes you sick as a dog, it’s time for a new oral health plan. Written by Jace King for St. George Health and Wellness magazine and St. George News. Jace King attended Southern Utah University, followed by the Veterinary Medicine Program at Colorado State University where he graduated in May 2006. His veterinary interests include oncology, chemotherapy, internal medicine, client education & communication, bovine medicine, and orthopedic surgery. Are you kidding me? Take a dog to get it’s teeth cleaned? it’s time for a new oral health plan for dogs? How about take a human instead of a dog for oral care? I hope Obama doesn’t get wind of this. Ya, Obama might pass a doggie dental care stimulus package. While dental cost for humans is outrageous and not all employers offer dental for part timers, let’s get the dogs to the dentist! If you are not willing to take the time and the trouble, and to spend the money to keep your pet healthy, then you don’t deserve to have a pet. It just makes me sick to see the way some people treat animals. 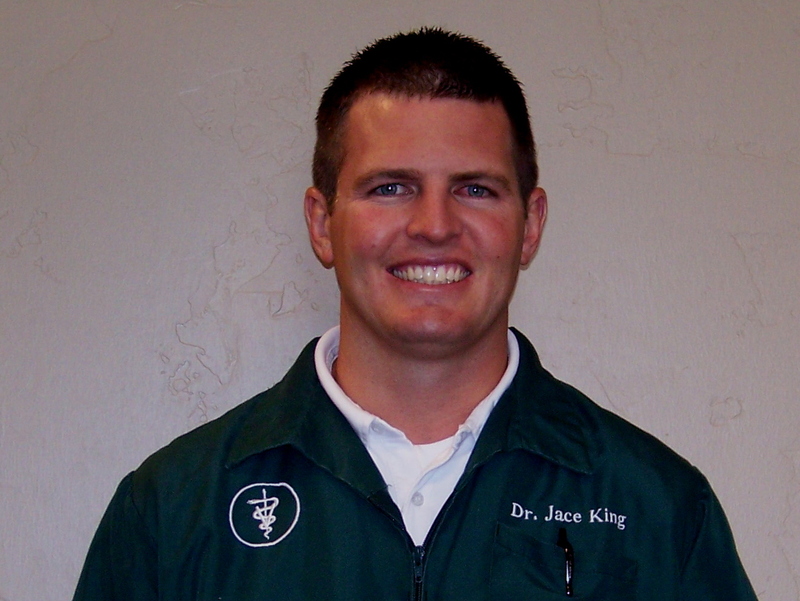 Jace King happens to be my favorite veterinarian. Its very important to have your dogs teeth checked. Having a bad tooth hurts! An awesome product I found was Silver Rain Soap. It can be found at http://www.newleaf.life Natural bacteriostatic soap. Great for pets teeth.